Combining beauty with functionality, SmartDeco translates Jacqueline’s vibrant paintings into richly detailed design pieces for the home and garden. 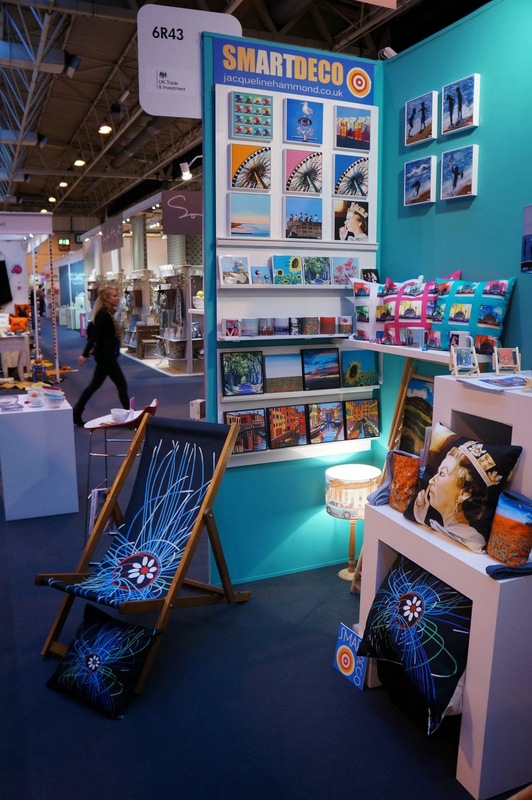 Showcasing designer deckchairs, chic cushion covers, beautiful bed linens, and scenic look-at-me lampshades. Bold, witty, elegant, the range brings art off the gallery wall and into the heart of the home, bringing some on-trend painterly style to your interior. Key pieces include the evocative ‘Seaside’ lampshade, vibrant poppy print cushions, and the unique ‘Life’s a Beach’ deckchair – a bestseller that has caused a huge splash in the style press. Visit the SmartDeco website and Jacqueline’s portfolio site to find out more. Would you like to become a stockist? If you are a retailer and would like to enquire about selling our products, please do get in touch by email to info@jacquelinehammond.co.uk and request a trade catalogue and price list. 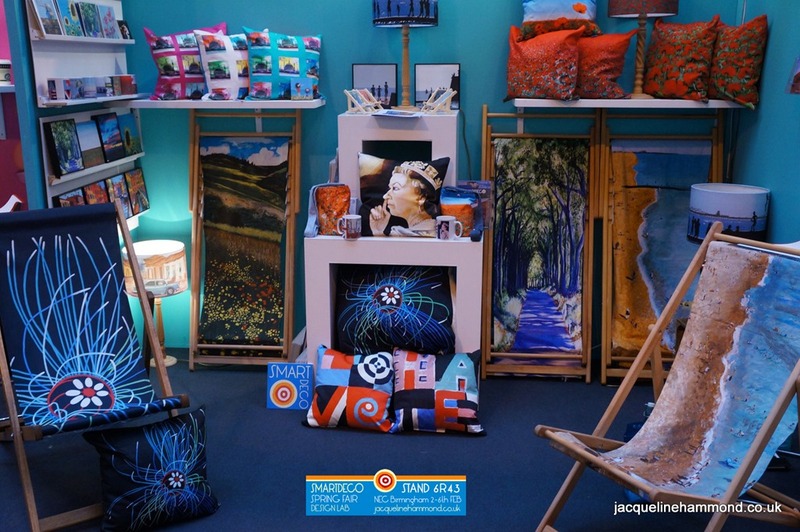 SmartDeco’s contemporary art inspired home and giftware range from British artist and designer Jacqueline Hammond. 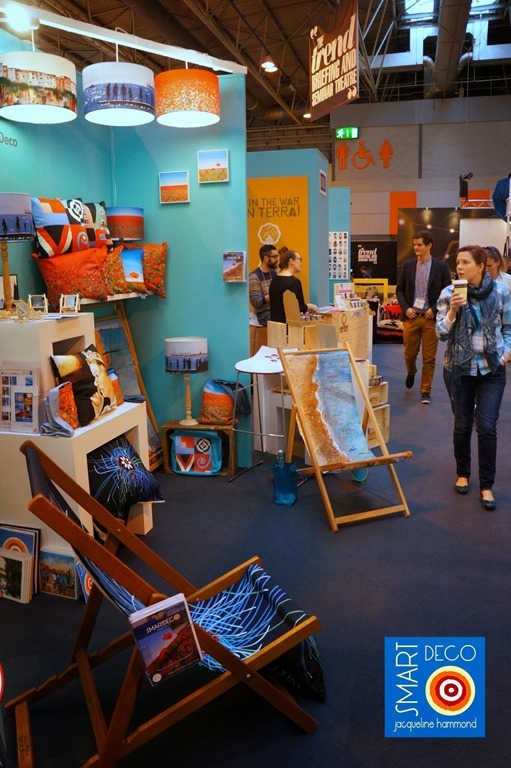 Exhibitor at Spring Fair International Trade Show, Birmingham NEC 2-6th Feb 2014. 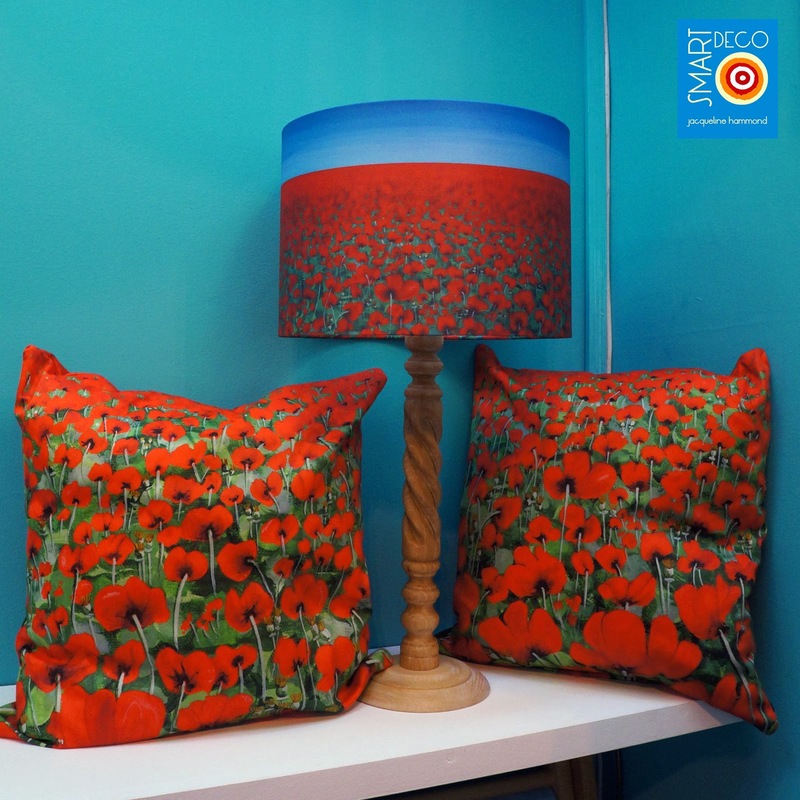 SmartDeco is a collection of contemporary art-led home and giftware from British artist Jacqueline Hammond. Would you like to buy something you’ve seen in this blog? As well as our websites SmartDeco and Jacqueline Hammond, the range is available to purchase from various independent retailers internationally and we recently got invited to open a store on notonthehighstreet.com – check it out ! This entry was posted in Exhibited, News, Smart Deco Collection and tagged beach, Beach Accessories, Beach Print, birmingham, buy, buyers, Camping, coast, Coastal, deckchair, department store, exhibitor, Fair, garden, gift, great Gifts, high street, Home Accessories, Home And Garden, Leisure, Leisure Products, Leisure Travel, Licensed Homeware, Local News - Brighton, Marine, Nautical, NEC, Outdoor, Outdoor Accessories, Outdoor Furniture, retail, retailers, seaside, shop, show, spring, Spring Fair, Spring Fair international, stock, summer, Summer Fun, Summer Living, suppliers, textiles, trade, Trend, trends. Bookmark the permalink.